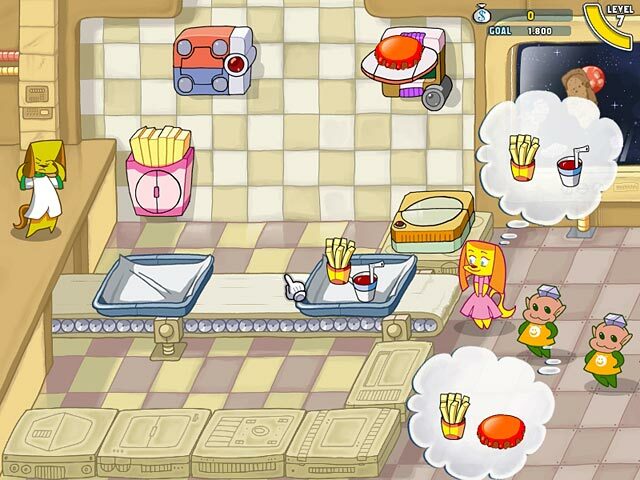 Cook with an intergalactic canine confectioner and serve up tasty treats to extra-terrestrials in this Time Management game! The rent is due on Jessica`s spaceship and it`s up to you as Chill-Li, the epicurean space dog, to bring home the bacon feeding delicious meals to a comical crew of hungry diners from beyond Pluto! 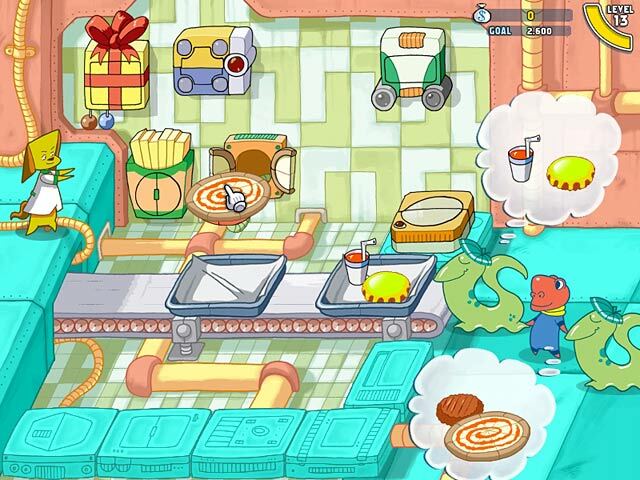 Warm up the grill and prepare for a galaxy-spanning journey of fun and adventure with Kukoo Kitchen! 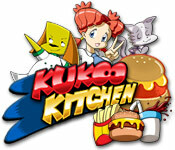 Kukoo Kitchen is rated 3.0 out of 5 by 3. Rated 3 out of 5 by starry_lady from Fun, But Not Challenging I agree with the two reviewers before me. The game is fun, but not challenging at all. The most challenging thing in the game that I met with in my one hour trial was the drink machine, since there was more than one step to it. The graphics were cute - very anime. The story line was original, too, and interesting. In going from level to level, there seemed to be a little bit of "graphical lag" for me. The game would cause my screen to flicker in going from one scene to another, but nothing that caused any real concern, and nothing that interfered with the game itself. I'd recommend this to someone who wants a mindless, relaxing game, but not to those looking for a challenge. Rated 3 out of 5 by delmeg10 from Not Challenging at All I agree with the other reviewer. If you are into Time Management Games, this one will be way too easy for you. I only played the trial version, and I got through at least 15 levels without having to replay any. I got the "Gold Fork" each time with ease! The transition between levels is glitchy and the voice only works for the first few levels. At least it did for me. You can still read the words, but won't hear her talking. Anyway, I'll pass on this one. Too easy! Rated 3 out of 5 by Selkie2283 from Has Potential This game appears well made, and the game play is somewhat original and fun. However, it'll provide very little challenge to anyone familiar with time management games. I had attained "gold" status on every sub-level in the two levels I played, without batting an eye. In addition, unless there's more map to be revealed, it's a pretty short game. Unless the difficulty had increased substantially, I feel confidant I would probably have been pretty close to finishing it within another hour (I was a little under half way with my one hour trial, and that was with watching cut-scenes, and sitting through tutorials.) It was fun to try, and I think it has a lot of potential, but given how short and how easy it is, I just couldn't justify buying it. 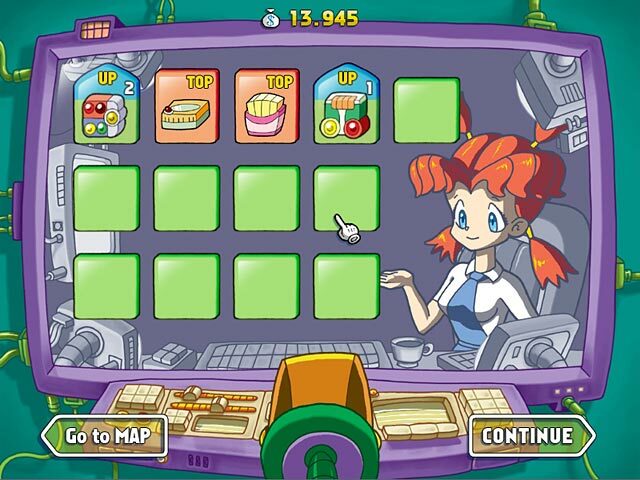 Cook with an intergalactic canine confectioner and serve up tasty treats to extra-terrestrials in this Time Management game!